Much of what is known today as yoga emphasizes physical postures and exercises to increase flexibility and help relaxation. But, in fact, yoga has its roots in the understanding of human consciousness and its potential, which was developed over centuries of rigorous investigation and research in the East. 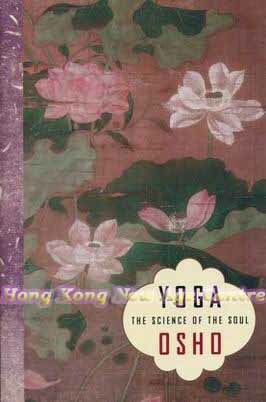 In Yoga, Osho explains the meaning of some of the most important Yoga Sutras of Patanjali, an early "scientist of the soul" who is credited with being the father of Raja Yoga, or the "royal path" of yoga. Raja Yoga uses physical postures and breath control primarily as a means to achieve higher states of consciousness. Here is a fresh translation of these ancient texts, and Osho's unique insights into the modern mind and its psychology. Patanjali comes to life on these pages with an approach to use yoga for greater self-understanding that is absolutely relevant to our times. This book is an invaluable resource for either beginning or experienced yoga practitioners, and for anyone who seeks a better understanding of the intricate and powerful relationship that exists between body and mind.